Despite what many believe, most millennials want to own a home within the next few years. According to a Zillow study, more than 60 percent of adults age 18 to 35 say owning a home is an essential part of the American Dream. Additionally, more than 80 percent say they are at least somewhat confident they will be able to afford a house one day. Though so many people in this generation have aspirations of homeownership, many say they won’t buy for another year or more. The additional year may give these young adults some time to save for a down payment. 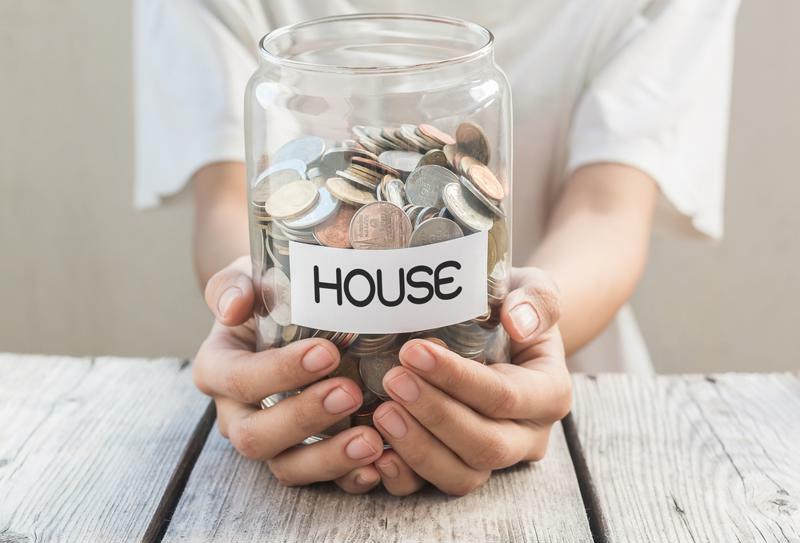 This might be one of the most difficult challenges prospective homeowners have to overcome and the sooner they begin saving, the better off they’ll be when it comes time to visit open houses and look for a mortgage. Saving large amounts of money isn’t the easiest thing to do, especially if it involves a change of habits. Cutting back on extra expenses, reducing debt and managing bank accounts are all good places to start. However, as Kevin Gallegos of the Arizona-based Freedom Financial Network explained, saving can’t be limited to the amount you’ll need for a down payment. If something should happen, like a medical emergency or a job loss, the money you saved for a down payment may have to be converted to living expenses. To avoid losing your home funds, save the amount you will need for it as well and at least six months of living expenses. This plan may sound overwhelming at first, but with some strategy, saving money for a down payment is possible. My Domain suggested getting excess spending under control by setting limits. To do this, figure out your monthly expenses, then decide where you can cut down. When you determine how much you need every month, put that money in a checking account or withdraw it to use in cash form. Once the money is gone, don’t take out more. Put your extra money into savings. Try cutting out some extra, unnecessary expenses, like sweets and coffee, to save a little extra money. This might mean you will have to cut out some extra expenses, like eating out or that cup of coffee from your favorite cafe. After some time, though, you will see the impact this will make on your savings account. While saving is one of the most important steps in working toward homeownership, it’s not the only step millennials should take. To get the best rates on a mortgage, borrowers should have a good credit score. If you are planning on purchasing a home in a few years, you have some time to work on improving your credit. This is good, because it may take some time. Check your score to see what your starting point is. Make sure there aren’t any errors on your credit report. Also, get into the habit of paying all your bills on time. A good way to do this is to schedule automatic payments when bills are due. Just make sure you have enough money in the account from which the bills are drawing. After some time of good financial habits, your credit score should start to improve. For advice about the best mortgage for you, talk to the experts at Lenox/WesLend Financial or call 844-225-3669. As heard on the radio, it’s the biggest no-brainer in the history of mankind.